Playful polka dots are printed throughout this plus size dress from Connected, styled in a fit-and-flare silhouette for added coverage. 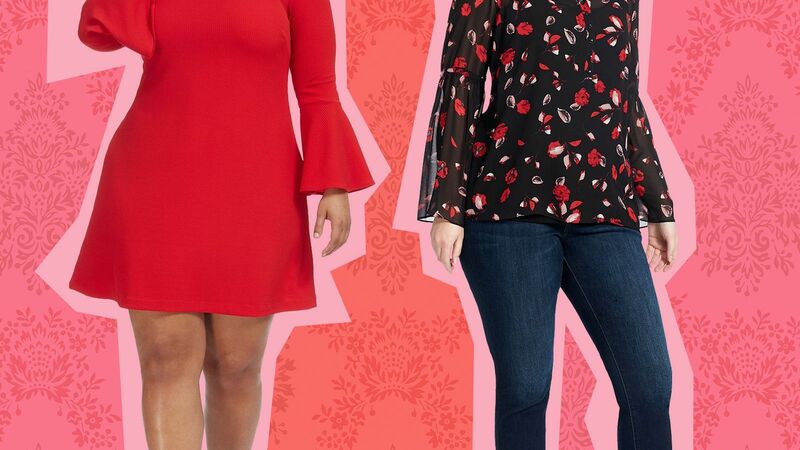 City Chic's effortless plus size fit & flare dress is a contemporary pick designed with a subtle peplum waist for added coverage. You'll be a beauty at the office and beyond in this lovely lace dress from Tommy Hilfiger.